Organized by the IsDB, the International Center for Biosaline Agriculture (ICBA) and the OCP Phousboucraa Foundation, the side event discussed at length the potential of super crops for food production and income generation in marginal environments, characterized by high levels of soil and water salinity, water scarcity and drought, among other things. Many of the IsDB member countries have large areas of territory that fall in the category of marginal environments where rural poverty, food insecurity and malnutrition are prevalent. This means staple crops, which many smallholder farmers rely on for their livelihoods, are yielding less and less under harsh environmental conditions, exacerbated by climate change. Therefore, it is important to shift the focus on to highly nutritious and resilient crops. But it is also necessary to create sustainable value chains for these non-staple crops to ensure higher incomes for smallholder producers. “To achieve SDGs 1 and 2 which call for no poverty and zero hunger, we will have to transform our agricultural systems to be more efficient and benefit more farmers. 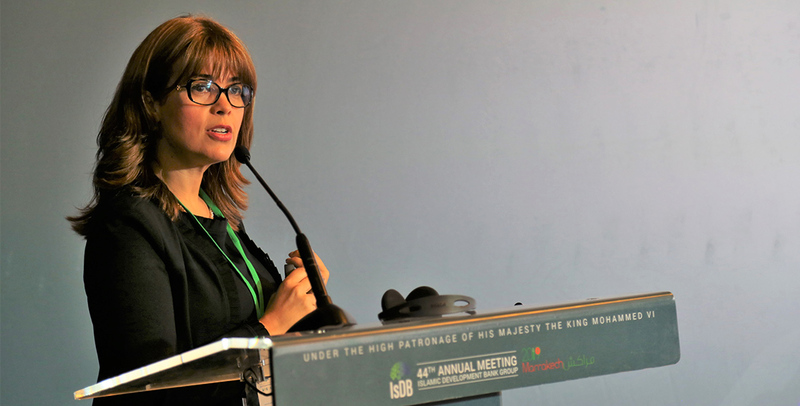 One of the strategies is to diversify and reinvigorate the system through alternative crops that can withstand vagaries of climate, and address hunger, malnutrition and poverty,” Dr. Ismahane Elouafi added. 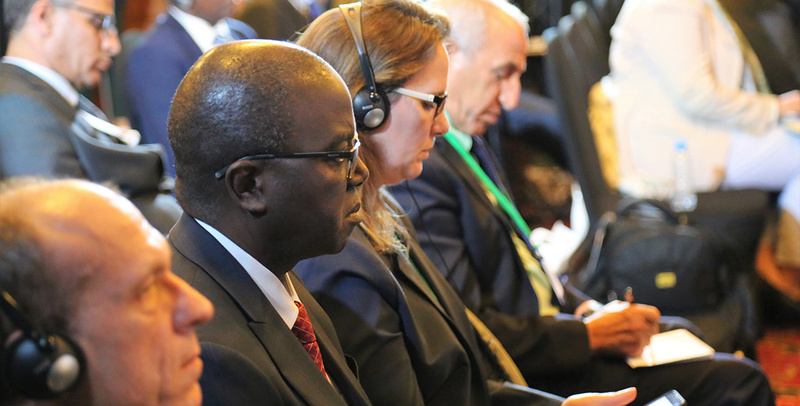 The side event also featured a high-level panel discussion on the role of sustainable agricultural value chains in eradicating poverty and hunger. The panelists included Mr. Mohamad Jamal Alsaati, Director, Office of the IsDB President and ICBA Board Member; H.E. Gilbert F. Houngbo, President, the International Fund for Agricultural Development (IFAD); Dr. Ismahane Elouafi, Director General, ICBA; Mr. Aly Abousabaa, Director General, the International Center for Agricultural Research in the Dry Areas (ICARDA); and Ms. Hajbouha Zoubeir, President of OCP Phousboucraa Foundation. 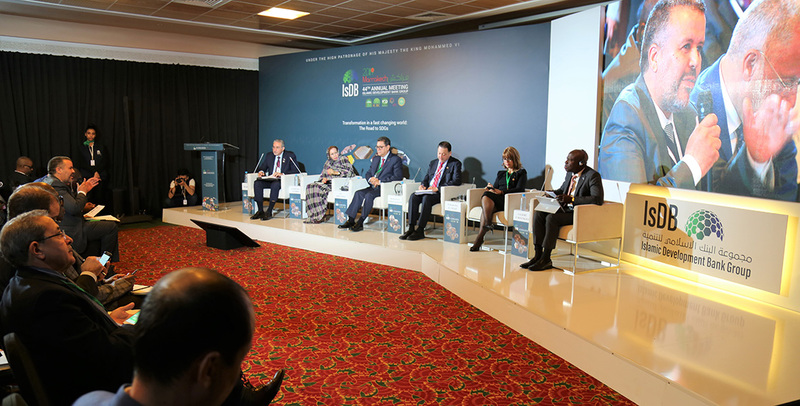 During the side event, Dr. Ismahane Elouafi also presented several success stories, including the Rehamna quinoa project, which aims to improve food security and incomes of smallholder farmers in marginal areas of Morocco through the production, consumption and sale of high-value and stress-tolerant quinoa. Funded by Canada’s International Development Research Centre (IDRC/CRDI), the project is implemented by ICBA in collaboration with Mohammed VI Polytechnic University and the Ministry of Agriculture, Fisheries, Rural Development, Water and Forests of Morocco. Under the project, several associations have started producing value-added quinoa-based products such as couscous. One of the associations is the 3ème millénaire (3rd millennium) cooperative, which is managed by over 30 rural women. The association produces several products from quinoa and other crops, and provides incomes to rural women and young girls. The project is also working with farmers’ associations such as Chabab M'khalif who have benefited from the introduction of best cropping practices and mechanized tools. The project is also trying to support start-up agri-businesses such as Amendy Food to promote quinoa at the national level. The project has established a seed production system and developed processing tools in collaboration with Ben Rim Farm to produce and commercialize ICBA quinoa varieties.